This *MUST READ* guide is only meant for people who want the latest working version of The Sims 4. Using this guide you'll automatically get the latest available version of the game. Below you will always find the most up-to-date instructions, so make sure to check back here first if you run into any issues, or when new The Sims 4 game updates are released. The Installation Guides that come with the torrents might become obsolete at some point, hence we keep this page here up-to-date instead. Note: this page primarily deals with installing the repacks available through Games4theworld. It is not about Origin-versions of the game, nor about releases from other repackers. How can I keep up with news? What are the current system requirements of The Sims 4? According to the information taken from the Origin store, updated as per the latest available patch and DLC (patch version 1.50.67.1020, Strangerville). How much filespace do I need exactly for installing the game? Where can I find all of the Games4theworld The Sims 4 repacks? However, over the course of this guide you will also find buttons for magnets & .torrent files, next to the name of each The Sims 4 release. General introduction to the downloads. The way Games4theworld packs updates for The Sims 4 is according to major DLC for the game (expansion packs). Each of these torrents also includes a number of minor DLC. You might now be confused, and want to know why there are no separate releases for individual DLC. The main reason is due to technicalities: you cannot easily add individual DLC items to TS4 without causing certain in-game problems such as game freezes at startup. As of currently you have to add new DLC to TS4, in the form of these packs. The procedure outlined here is essentially a "progressive build-up": the torrents are meant to be applied in a specific order. Which DLC do these torrent packs consist of then? City living: Dine Out (GP03), Movie Hangout Stuff Pack (SP05), Romantic Garden Stuff Pack (SP06), Kids Room Stuff Pack (SP07), Backyard Stuff Pack (SP08), Vintage Glamour Stuff Pack (SP09), City Living Expansion Pack (EP03). Toddlers, Vampires & Bowling Stuff: Toddlers (included in the base game patch), Vampires (GP04), Bowling Stuff Pack (SP10). Since The Sims 4 tends to be picked up - erroneously - as "malicious" by many anti-virus programs, you need to make sure to add both the (future) install location of your game as well as the location of your downloads to the "exceptions list" in your anti-virus program. The guide HERE can give you an initial overview of what needs to be done, but depending on which anti-virus software you yourselves are using, you may need to do more research on your own. Don't worry! Even though the game files are picked up by anti-virus software as malicious, the files are completely safe to use! (it’s what we call a "false-positive" warning ). We suggest you add the following locations to the exceptions list in your anti-virus software. Later on, once you installed the game, you may narrow-down the exclusions to only your installed The Sims 4 game folders. But in order to avoid any problems during the download of the games and/or the installation process, it is a good idea to add these exclusions beforehand OR temporarily disable your anti-virus software before downloading and installing the game. We also recommend that you download and install all available Windows updates, including the Visual C++ runtimes. You can find the necessary runtimes, under THIS DOWNLOAD LINK. Normally though, by default the Windows update settings are such that these runtimes are grabbed too, alongside the rest of Windows' updates. Step #2, the Base game. Download and install Games4theworld's version of The Sims 4 base game. On the download-page mentioned above, that is the torrent named "The Sims 4". Extract the download with WinRAR, and into a fresh folder somewhere. We recommend though that you run the installer from a hard-drive, rather than a USB-flash or similar devices. By default the installer will put your installation of The Sims 4, under C:\Program Files (x86)\Electronic Arts, regardless as to what you choose during the installation. If you find you are having difficulties with installing the base game on your C: drive due to limited filespace, check this tutorial here! We strongly recommend that you move the installation folder "The Sims 4" away from C:\Program Files (x86)\Electronic Arts, and elsewhere, otherwise you will get difficulties later on with running the game, with more DLCs. Step #3, the Get to Work expansion. Now, download and install the The Sims 4: Get to Work expansion pack. Extract with WinRAR, and copy/paste the contents over your existing installation of The Sims 4. Make sure that you actually copy the contents of the DLC directly into the folder "The Sims 4", and not into one of the subfolders like __Installer, Data, Delta, etc. And when prompted, replace the existing files. Extra note: besides the Get to Work expansion, this download already includes the Holiday Celebration Pack (FP01, 2014 Christmas-themed items) & Outdoor Retreat Game Pack (GP01). Step #4, the Get together expansion. Next, download and install the The Sims 4: Get Together expansion pack. Extract with WinRAR, and copy/paste the contents over your existing installation of The Sims 4. Make sure that you actually copy the contents of the DLC directly into the folder "The Sims 4", and not into one of the subfolders like __Installer, Data, Delta, etc. And when prompted, replace the existing files. Extra note: besides the Get together expansion, this download already includes the Spa Day Game Pack (GP02), Luxury Party Stuff Pack (SP01), Perfect Patio Stuff Pack (SP02), Cool Kitchen Stuff Pack (SP03) & Spooky Stuff Pack (SP04). Step #5, the City Living expansion. Download and install the The Sims 4: City Living expansion pack. Extract with WinRAR, and copy/paste the contents over your existing installation of The Sims 4. Make sure that you actually copy the contents of the DLC directly into the folder "The Sims 4", and not into one of the subfolders like __Installer, Data, Delta, etc. And when prompted, replace the existing files. Extra note: besides the City Living expansion, this download already includes the Dine Out pack (GP03), Movie Hangout Stuff Pack (SP05), Romantic Garden Stuff Pack (SP06), Kids Room Stuff Pack (SP07), Backyard Stuff Pack (SP08) & Vintage Glamour Stuff Pack (SP09). Step #6, the Toddlers update. Download and install the torrent The Sims 4: Toddlers, Vampires & Bowling Stuff. Keep in mind that the name of the actual archive file (the item that is saved on your computer, after you finished the torrent download 100%) is The Sims 4 Update v1.29.69.1020.zip. Extract with WinRAR, and copy/paste the contents over your existing installation of The Sims 4. Make sure that you actually copy the contents of the DLC directly into the folder "The Sims 4", and not into one of the subfolders like __Installer, Data, Delta, etc. And when prompted, replace the existing files. Step #7, fixing the Toddlers update. After you installed the 'Toddler'-update, please go under the folder of where you installed your The Sims 4 game to. You will see a "Game"-folder. Then, download the fixed "Game"-folder for Toddlers/Vampires/Bowling. Place the folder simply inside your installation folder "The Sims 4". The screenshot below shows the "defective" Game-folder, and that I simply renamed it. For the average Joe & Jane out there, I do not recommend using this method though, because experience has shown that people end up with too many "renamed Game-folders", losing track of them, and likely leading to more problems down the road. Again, just delete the defective Game-folder that you get after installing the Toddlers update, and then grab the fixed Game-folder from the download link above. Step #8, the Parenthood gamepack. Download and install the torrent The Sims 4: Parenthood. Extract with WinRAR, and copy/paste the contents over your existing installation of The Sims 4. Make sure that you actually copy the contents of the DLC directly into the folder "The Sims 4", and not into one of the subfolders like __Installer, Data, Delta, etc. And when prompted, replace the existing files. We strongly suggest you download and apply the 1.30.105.1010 game update, after that as well, to fix some bugs. Step #9, the Fitness stuffpack. Download and install the torrent The Sims 4: Fitness Stuff. Extract with WinRAR, and copy/paste the contents over your existing installation of The Sims 4. Make sure that you actually copy the contents of the DLC directly into the folder "The Sims 4", and not into one of the subfolders like __Installer, Data, Delta, etc. And when prompted, replace the existing files. Step #10, the Toddlers stuffpack. Download and install the torrent The Sims 4: Toddlers Stuff. Extract with WinRAR, and copy/paste the contents over your existing installation of The Sims 4. Make sure that you actually copy the contents of the DLC directly into the folder "The Sims 4", and not into one of the subfolders like __Installer, Data, Delta, etc. And when prompted, replace the existing files. If your game starts up with Error Code 3/in Spanish, please delete the "Game"-folder once more from your install directory of The Sims 4. Download and apply the fixed "Game-folder" for Toddlers Stuff instead. Step #11, the Cats & Dogs expansion. Download and install the torrent The Sims 4: Cats & Dogs. Extract with WinRAR, and copy/paste the contents over your existing installation of The Sims 4. Make sure that you actually copy the contents of the DLC directly into the folder "The Sims 4", and not into one of the subfolders like __Installer, Data, Delta, etc. And when prompted, replace the existing files. Step #12, the Laundry Day stuffpack. Download and install the the torrent The Sims 4: Laundry Day Stuff. Extract with WinRAR, and copy/paste the contents over your existing installation of The Sims 4. Make sure that you actually copy the contents of the DLC directly into the folder "The Sims 4", and not into one of the subfolders like __Installer, Data, Delta, etc. And when prompted, replace the existing files. Step #13, the Jungle Adventures gamepack. Download and install the torrent The Sims 4: Jungle Adventure. Extract with WinRAR, and copy/paste the contents over your existing installation of The Sims 4. Make sure that you actually copy the contents of the DLC directly into the folder "The Sims 4", and not into one of the subfolders like __Installer, Data, Delta, etc. And when prompted, replace the existing files. Step #14, the My First Pet stuffpack. Download and install the torrent The Sims 4: My First Pet Stuff. Extract with WinRAR, and copy/paste the contents over your existing installation of The Sims 4. Make sure that you actually copy the contents of the DLC directly into the folder "The Sims 4", and not into one of the subfolders like __Installer, Data, Delta, etc. And when prompted, replace the existing files. Step #15, the Seasons expansion. Download and install the torrent The Sims 4: Seasons. Extract with WinRAR, and copy/paste the contents over your existing installation of The Sims 4. Make sure that you actually copy the contents of the DLC directly into the folder "The Sims 4", and not into one of the subfolders like __Installer, Data, Delta, etc. And when prompted, replace the existing files. Step #16, the Get Famous expansion. Download and install the torrent The Sims 4: Get Famous. Extract with 7-zip (!! ), and copy/paste the contents over your existing installation of The Sims 4. 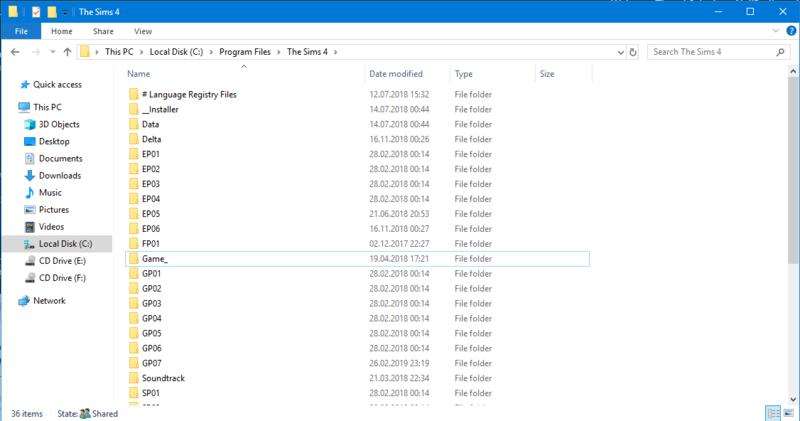 Make sure that you actually copy the contents of the DLC directly into the folder "The Sims 4", and not into one of the subfolders like __Installer, Data, Delta, etc. And when prompted, replace the existing files. Step #17, the follow-up patch for Get famous. Due to glitches with the Get Famous Pack, we recommend downloading and installing the 1.49.65.1020 patch. Extract with 7-zip (!! ), and copy/paste the contents over your existing installation of The Sims 4. Make sure that you actually copy the contents of the DLC directly into the folder "The Sims 4", and not into one of the subfolders like __Installer, Data, Delta, etc. And when prompted, replace the existing files. Step #18, the Strangerville gamepack. Finally, download and install the torrent The Sims 4: Strangerville. Extract with 7-zip (!! ), and copy/paste the contents over your existing installation of The Sims 4. Make sure that you actually copy the contents of the DLC directly into the folder "The Sims 4", and not into one of the subfolders like __Installer, Data, Delta, etc. And when prompted, replace the existing files. Done! You now have the latest available (DRM-free) working version of The Sims 4, with all DLC! If you have a 32-bit Windows operating system, navigate to C:\Program Files (x86)\The Sims 4\Game\Bin and start the game by double-clicking the "TS4.exe" file. If you have a 64-bit Windows version, you can use "TS4_x64.exe" file under C:\Program files\The Sims 4\Game\Bin to start the game instead. If you want to create shortcuts to quickly launch the game from your Desktop, right-click on the desired .exe file and choose Send to > Desktop (Create shortcut) . Start the game and… ENJOY playing the latest version of The Sims 4! What if I forgot a step? Can I add your downloads to my Origin account? How do I use your downloads together with my Origin version? You can't. We suggest you keep two separate installations of The Sims 4, in two different folder paths (one Origin, one G4TW). 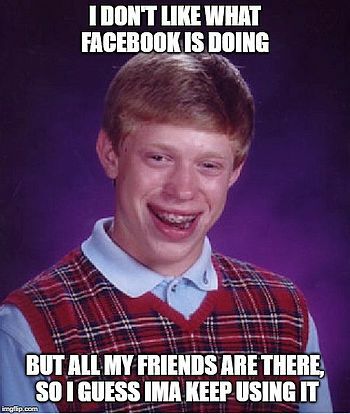 You can also use separate Windows users-accounts for that purpose. Even then, the games use the same directory for savefiles, mods, etc. Try using the procedure mentioned HERE for a workaround. The method will also be helpful if you intend to download Gallery items from the legal Sims 4 version, and then transfer them to the G4TW version. Are there further troubleshooting guides? Note that the included installation guides in our torrents may become outdated at some point in the future (and you cannot edit the contents of existing torrents), which is why we recommend you check back on this thread here regularly! 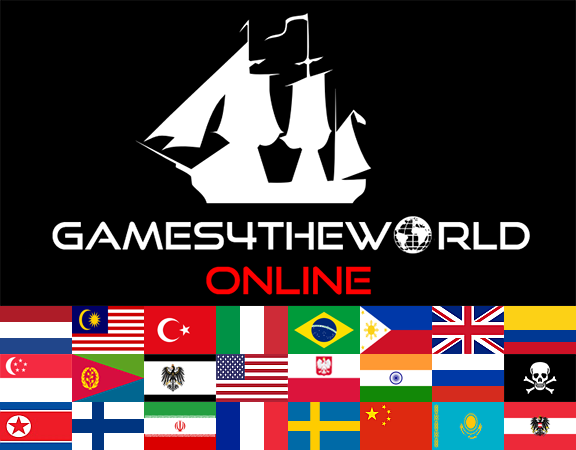 We've chosen to provide text files for all official Games4theworld releases, for the event that the sites/forums go down, and so that users have at least something to work with. Re: *MUST READ* How to install The Sims 4 correctly. Instructions overhauled on 13-04-2019 ! @Freezer Bunny wrote: Instructions overhauled on 13-04-2019 !